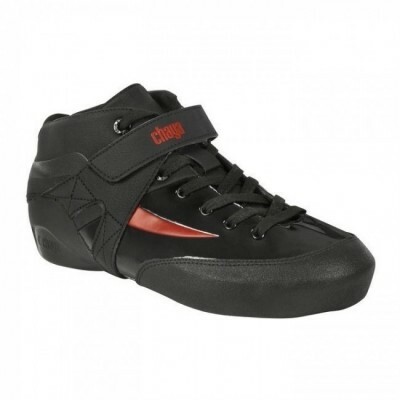 ​The Chaya Sapphire boot is excellent and cost effective for entry-mid level roller derby play. The Chaya Sapphire boot is excellent and cost effective for entry-mid level roller derby play. The Nylon composite shel and pain free technology are paired with an extra heel lock and evefit last for supreme hold. The PU-nano leather upper and abrasion resistant leather toe cap ensure durability. Padding made of Poron and EVA and a microfibre lining mean form and function!